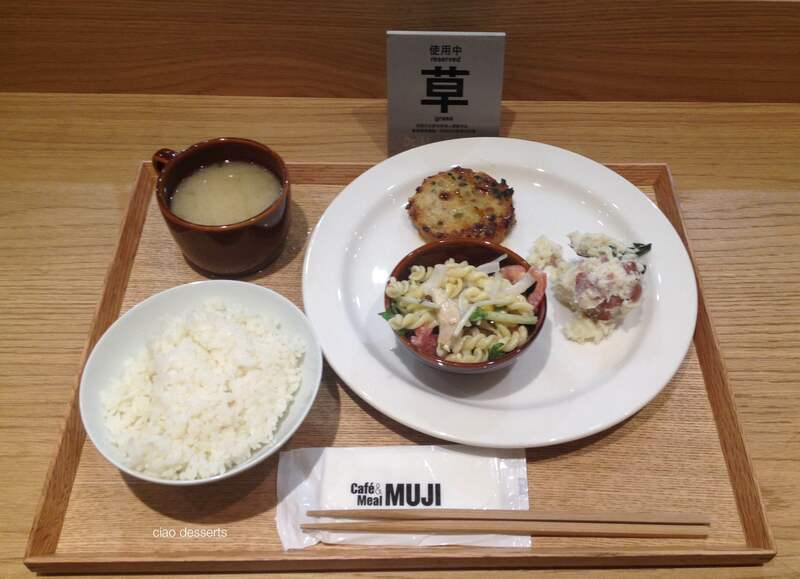 Information: Cafe & Meal Muji is located in the B2 Level of Hankyu Department Store, Taipei. | PH:02-2345-8551 |Hours of Operation: M-Thu: 11:00-21:30，Last order 21:00, Fri-Sun & National Holidays: 11:00-22:00，Last order 21:30 | More photos can be found here. Cafe & Meal Muji opened in Taipei sometime in early 2015. I kind of imagined to be an idyllic place~ where we could eat slowly and really enjoy the food. That, was only a figment of my imagination. In reality, is that Cafe & Muji is a crowded, hectic little piece of square footage in the basement of one of Taipei’s busiest malls. Ever since it’s opening, there is always lots of people waiting in line. I happened to pass by one rainy afternoon, and decided to try my luck. The front of the cafe now has a kiosk, where you can enter in your mobile phone number, and they send you a text message when there is a table available. You can also specify if you are willing to share a table with other people, which may speed up your wait. Then you can wander off and browse in the store and wait to be notified via text message. Once your spot is available, you have to wait for the staff to lead you to a table, then you have to wait in line again, to select your food. The basic formula is you can choose set menus consisting of three items (one hot food item, and two salad items, or two hot items and one salad) for $220 NTD, or four items for $270 NTD (two hot, two cold items) There is invariably a hold up because there is always someone ahead of you that cannot make up their mind, and/or changes their mind about 5-6 times. 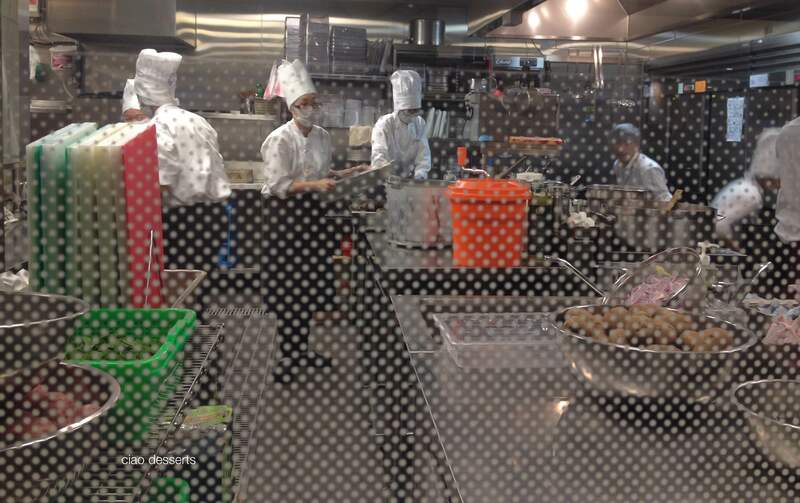 Luckily, they have a semi-open kitchen where you can watch the food being created. Dozens of staff are bustling about, churning out the food that is served in the cafe. They seem to use the same kitchen tools that are sold in the store (some appear a bit larger, and are probably designed for restaurant use) The space itself is designed in alignment with the Muji aesthetic, wooden floors clean simple lines and fairly minimalistic furniture. I thought the most clever part of the space was at this communal table in the centre of the space; it’s a simple pigeon hole bookshelf that serves two purposes, 1) to display their products, and 2) to provide a bit of separation between parties. Even though it’s actually used as a boundary placement, the effect is not overpowering, and quite interesting to look at when you are eating. Now onto the food! The three item set also comes with a generous bowl of white rice (you can choose multi-grain rice for an extra $20 NTD) and a cup of miso soup. I chose a spinach chicken patty, a pasta salad and a potato salad. I was pleasantly surprised at how fresh and light the food tasted. The chicken patty was juicy and in addition the spinach, also had other vegetables mixed in. The pasta salad was infused with a light lemon flavor and was combined with crisp greens, white onion slivers and juicy tomato slices. The potato salad was nicely made, with red potatoes, which were cooked perfectly to hold their shape, but also soft at same time. The miso soup was surprisingly hearty and contained seaweed, tofu chunks, onions and carrots. I thought the food was the highlight of Cafe & Meal Muji’s dining experience. Some might think the portions are tiny for the price paid, but in my opinion, I think it’s just right. I left feeling full, but not stuffed, and I felt quite energetic the rest of the afternoon. I sometimes have to remind myself that the portion size does not necessarily equal value for money. I think it’s worth it to spend a little extra for natural ingredients , and for food that is freshly made. I would definitely go back at a different time of day to try more of the different options at Cafe & Meal~ they also do an afternoon special, of delicious looking desserts, coffee and teas. 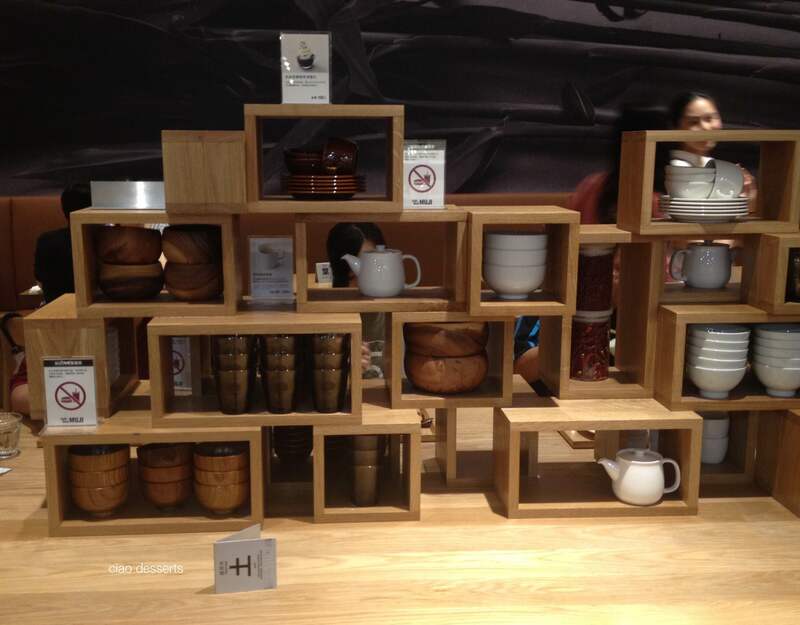 Similarly to other homewares and lifestyle stores such as Xiao Qi and Royal Copenhagen, Cafe & Meal Muji uses the dining experience to show off their products. While eating my rice, I discovered that the rice bowl has a pleasing round shape, that is quite comfortable to hold in the palm of your hand. I would definitely consider purchasing it for use at home. 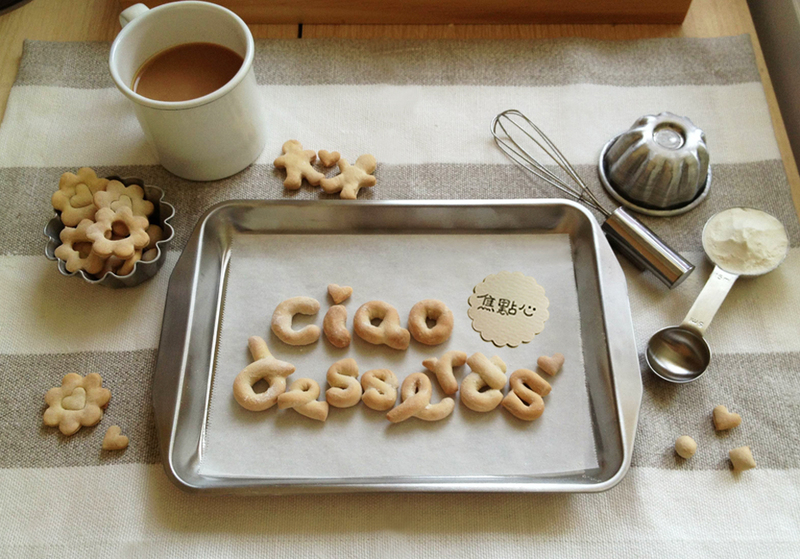 This entry was posted in Uncategorized and tagged coffee cups, ingredients, interior decorating, kitchenware, mugs, Muji, taiwan. Bookmark the permalink. Hi HT~ So, so good. Is there a cafe in the San Francisco store yet? I need to get my hands on their chicken recipe. It’s my absolute favorite.